Up to 14 lbs total. 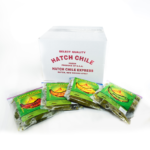 We offer a 14 pound box of Diced Hatch Green Chile (FOURTEEN, one pound packages) delivered by Federal Express Priority Delivery and shipping is included. I’m an old New Mexican stuck now in Kansas City. 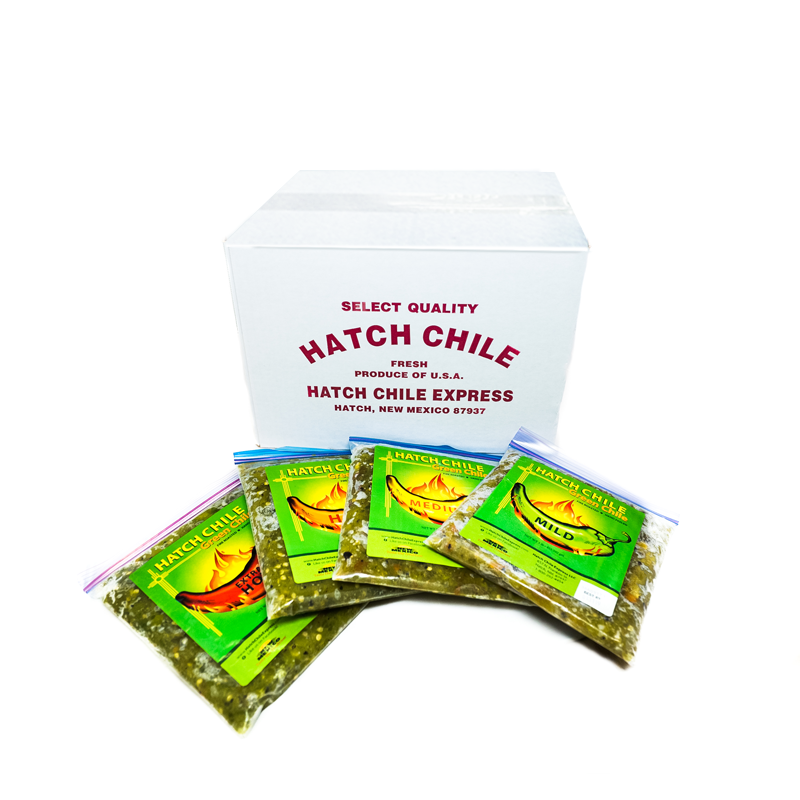 I’ve been ordering chile from Hatch ever since I left the state 20 years ago, and I love it. Let’s face it, you can’t get REAL green chile any other way. Now that they are dicing it up for you, it’s even better. I have one small complaint though. In the years since I’ve started ordering, the heat level of every variety except the X-hot has gone down. Milder and milder every year. Now the X-hot is too hot for everyone but me, but the hot has virtually no heat at all. That shouldn’t stop you though. This stuff is too darned good. 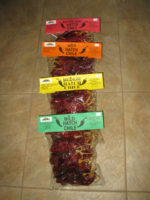 Best chile you can order online. If you are like me and became hooked when living in the lower Rio Grande valley the overnight shipping fee is just the price we must pay. I have noticed that the “heat” intensity has been a little low but that is more related to the moisture in the environment if memory serves me. looking forward to a nice dry season and a batch with a bit of a kick! mean time, I just add a bit of Lumbre Extra Hot when I make up a batch… Love from SW Florida! Love, love, love this green chile!! I’ve been ordering the Sandia hot for about 12 years. My husband is from New Mexico and moved to California. When we were fist married, I was using canned green chile bought at the grocery store. He always complained it had no flavor! When I found Hatch Chile Express he was a happy camper! It is definitely a taste of NM. It comes roasted, chopped and frozen overnight! I’ve never been disappointed!